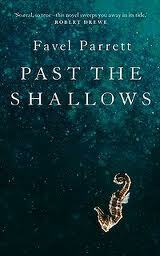 Congratulations on the release of the wonderful Past the Shallows, my favourite book of the year. It’s deeply moving and had me in tears from about half way through. I love your pared back style, a wonderful example of the power of “less is more”. Is this something you strive for consciously or is it just the way your writing comes out naturally? I think this is just the way I write – my voice. Having said that I do work hard at it. I edit really heavily and scenes that start out many pages long often end up just a few hundred words. Down to the essence I guess. So hard to say just one! I fell in love with Harry and I really felt him in my heart (and still do), but in many ways Miles is the closest to me. He was also the hardest to write! Harry has an energy and optimism that is nice to be around even though there is so much sadness there too. Miles carries the burden of responsibility and he recognises the danger they are in. They were both very special characters and I feel incredibly lucky to have found them. I miss them. When we first met about three years ago at the QWC/Hachette manuscript development programme you were working on an earlier draft of the book. How much has it changed since then? SO much. The bones were there – the beginning and the end, but much of the middle was missing. After the programme I worked for over a year on new scenes. I also changed the order of the book and cut out a few chapters I had written from George’s point of view. I drafted and drafted and drafted until I thought it was something I could send back to Hachette for them to look at. It was a LONG process. 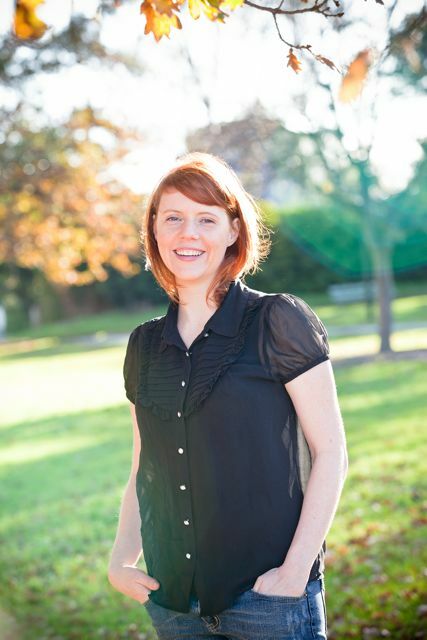 You were awarded an ASA mentorship to work with editor, Julia Stiles, on the manuscript. How did you find this process? Would you recommend a mentorship to others? Julia Stiles is a wonderful editor and she helped me structure the novel the way it is now. She was able to see what I could not. By taking a few scenes out, moving a few around, and adding one last scene from Harry – the book was complete. She also gave me confidence. She treated me as a professional writer and that felt amazing. We talked on the phone and emailed back and forth. We still keep in touch now and I would love to work with her again some day. I would recommend the ASA mentorship to any writer who has a first draft of a book they are working in. It was an incredible experience for me and I know Julia’s advice and guidance helped make the book so much stronger. How long altogether had you been working on this story? I began the story at the start of 2007 when I started a Diploma in Professional Writing and Editing. It took me ages. I guess I was studying and writing other things too – but still it was a long process. I sent the final MS to Hachette in 2010 and it was published May 2011. Can you tell us a little bit about what the different stages of development were for Past the Shallows at Hachette before it hit the shelves? Once Hachette said yes and I signed the contract, the book went to another great editor, Roberta Ivers. She sent me a detailed structural and line edit and over about a month I went through her edits page by page and decided on what to take on board and what to ignore. It is a tough and exhausting process, but it makes the book much stronger by the end of it. Cover ideas started appearing – book blurbs, a little bit of media training, marketing ideas. More line editing, final page proofing… more editing. And then some publicity before the book came out. Blogs, Twitter etc, some author dinners with booksellers. There is A LOT that goes on behind the scenes to make a book a book! You’ve had to do a lot of publicity to promote the book. What has that been like for you? Any funny stories? Because I am a bit shy, I find all the publicity stuff very hard – especially the public speaking! Meeting booksellers is always nice as they are passionate about books and writing, but some of the other media can be a bit daunting! I had a funny photo shoot/ interview with InStyle Magazine, which was great publicity – but I felt extremely daggy trying to fit into a model size Lois Vuitton dress and 8inch gold stilettos that were way too big for my little feet. The photo came out really well – but I kept popping the buttons on the dress every time I sat down! And I couldn’t walk in the shoes. It was hard not to laugh and hard not to cry! I think I did both on the cab ride back to the airport. You’re working on your second book for Hachette now. How’s that going? Is it harder to write something once you’ve got a contract and time constraints? Are you suffering second book syndrome? Yes, yes and yes! Ah! HELP! It has been hard to settle into another story – a new voice. It is coming – slowly. I am trying not to think about time and contracts and pressure, but I can hear the big clock ticking! I am onto something now but it is coming out of order like the first book – coming in scenes. I have to remember to just trust the process and not try too hard to make it fit. Just trust the writing. You still don’t have an agent, would you like one? Why is it so hard to get an agent here in Australia? Why is it so hard? I don’t understand why, but it seems to be easier to get a publishing contract then it is to get and agent. I think there are too few and they are very busy. Understandably they have little room for new clients. I got rejected by 3 or 4 agents – but then I got the contract with Hachette (phew!) so I stopped looking for one. You write short stories as well as novels. Do you have a preference for either form? Why? Why not? I think deep down I am a novel writer. I like being with the characters for the long haul! I love short stories too but I find them hard and I don’t think mine are very good. For each new story, you have to find a unique voice and structure. That is hard! I admire good short story writers very much. When did you first decide you wanted to be a writer? What have you done to make that dream a reality? Have you ever regretted that decision? I wanted to be a writer when I was a teenager, but I thought it would be impossible so I put that dream away. I forgot about it for a long time. It wasn’t until I stumbled across the Professional Writing Diploma at TAFE four years ago that I really decided to try and write again. I gave myself 3 years to see what I could do. I am so glad that I did. NO regrets! Finally, what advice would you give someone starting out as a writer? What are your must do’s? Anything if you had your time over you’d avoid? NEVER GIVE UP. It is possible! Go in for every prize, every competition, every journal. Work hard. Make your writing the best you can make it. Read – give yourself time to day dream (very important!). Keep going. Say – ‘I am a writer’. Take yourself seriously. Take your work seriously. You are a writer. Thanks so much Fave. Here’s hoping Past the Shallows has a long and beautiful life in the minds and hearts of its readers (and may there be millions of them!). Past the Shallows is available at all good bookstores – try your local independent first!